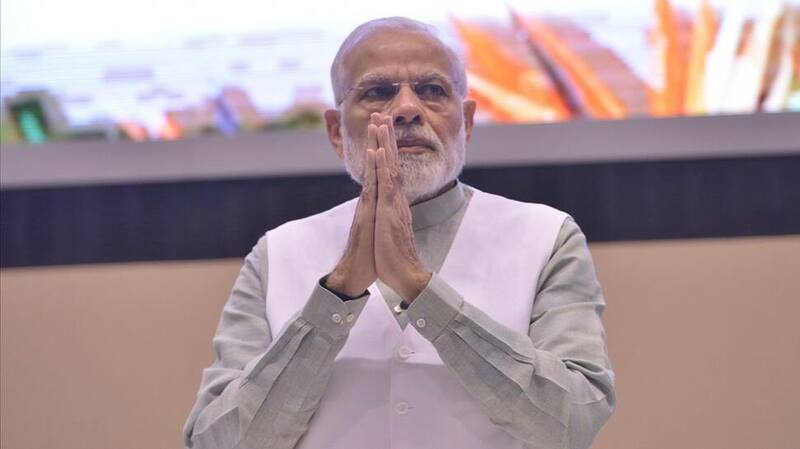 NEW DELHI: The Prime Minister’s Office (PMO) on Sunday said that over 1,800 mementos received by Prime Minister Narendra Modi were auctioned in a fortnight-long exercise which started in January. The PMO did not reveal how much funds were generated through the auction but said that the proceeds will be used for cleaning of Ganga. The auction was organised at the National Gallery of Modern Art (NGMA). During the auction, a specially handcrafted wooden bike, was auctioned for Rs 5 lakhs, PTI reported. A painting, which depicts Prime Minister Modi on a railway platform, also received similar bid. A Lord Shiva statuette which had a base price of Rs 5,000 was auctioned for Rs 10 lakh, the PMO said in a statement. A wooden replica of the Ashok Stambh was sold for Rs 13 lakh, while its base price was just Rs 4,000. A traditional ‘Horai’, which the PM had received from Majuli, Assam, went for Rs 12 lakh, while a statuette of Gautam Buddha, which had a base price of Rs 4,000 was auctioned for Rs 7 lakh. “Prime Minister Modi, even as Chief Minister of Gujarat, used to auction mementoes received by him, so that the proceeds could go for the education of girl children. Continuing the same practice, he has now enabled the collection of funds which will help clean up the Holy River Ganga,” the statement said.